The Venum contender boxing gloves are designed to withstand any powerful jab, cross, hook or UpperCut. Made with 100% premium synthetic leather for longer durability. The curved anatomical shape, offers great versatility and lasting comfort. The Venum contender boxing gloves multi-density foam padding absorbs shock with each strike you make. Large Velcro strap for enclosure ensures a secure fit and provides protection to minimize the risk of injury during training. 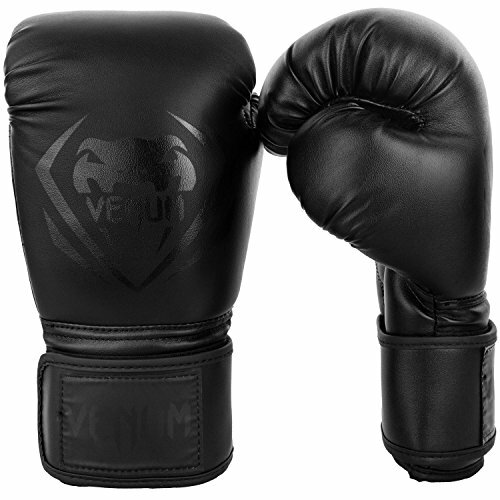 Whether you are training, sparring, doing bag or mitt work, these Venum gloves are sure to direct you towards success.